We deliver IT support services as part of an ongoing service contract or as a once-off project. Based in Springwood, we offer onsite and remote IT support to businesses in Logan, Brisbane, Gold Coast, Sunshine Coast, Ipswich and further afield. As one of Brisbane’s most experienced IT support and services companies, we know that some issues have to be dealt with onsite. Any physical problems with servers, connectivity, malware or even some printing issues are dealt with onsite as necessary. Our customers have peace of mind knowing we take responsibility for their network environment. Although many of our small business customers have moved to the cost-efficient, scalable hosted model we offer, some still have onsite servers. Our services team provides server support for both contract and adhoc clientele. 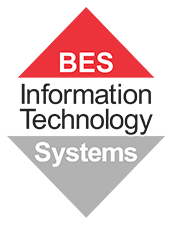 BES provides remote and onsite server support dependent upon your physical location. If your business should be too far away from Brisbane, Gold Coast, Sunshine Coast or Ipswich we can install a management remote server to allow our technicians access. In fact, we also do this with all of our network maintenance customers regardless of their location so we can troubleshoot network and server issues in the most efficient manner. We are there you help you with all your IT Support questions. Please us our Contact Us form and one of engineers will get back to you within 2 hours.